Osso Bucco has got to be one of my favourite dishes. It speaks to everything I love about food and cooking. 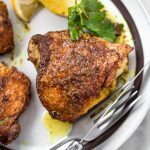 Take a less-coveted, tougher cut of meat, cook it low and slow for a long time with some very simple ingredients and plenty of love and turn it into something absolutely remarkable. 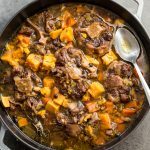 It’s humble recipes like this Osso Bucco that give me the most joy in the kitchen and at the table. I love everything about the process. 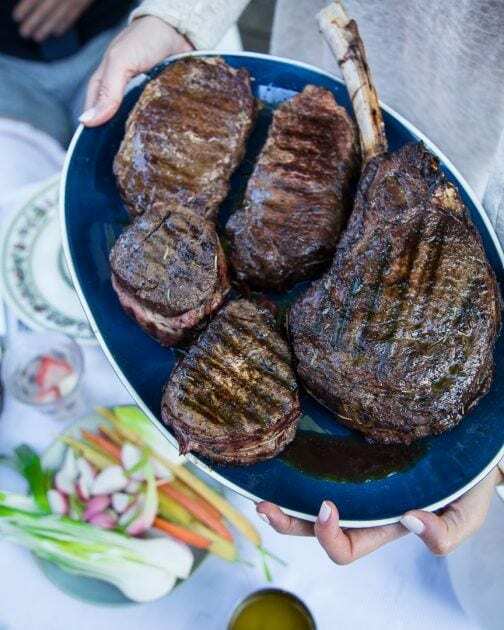 From selecting the shanks at the butcher, to finely chopping the mirepoix, to the aromas that perfume the entire house, and everything in between. I haven’t even gotten to eating the finished product! There are some important points to consider here though. Quality ingredients are crucial. The finished product is only as good as the stuff that goes into it at the beginning. That means using fresh and, preferably, organic. Especially true when it comes to the meat. The folks at RealFoodToronto.com did not have veal shanks when I ordered my meat but they did have grass-fed beef shanks and mama mia were they good. You want to look for shanks with a fairly large ‘bucco’ (hole) in the ‘osso’ (bone) with plenty of marrow. I cannot stress how good marrow is. Absolutely divine! 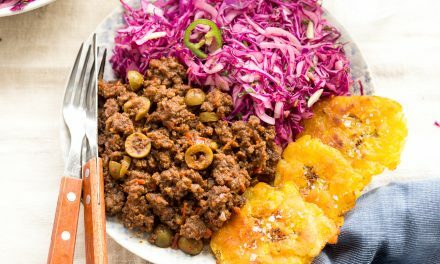 Remove the meat from the fridge at least one hour before browning it. Cold meat+ hot pan= tough meat. Dusting the shanks with flour is entirely unnecessary and I strongly urge you to avoid it. The shanks will brown nicely without the flour and the bones will release some gelatine into the sauce, which will result in a creamy and rich finished product. 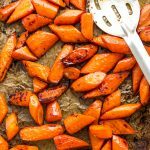 This is good news if you’re following a paleo or Whole30 program. Take your time chopping the mirepoix (or sofrito). I like to go with a fine dice, but you can just as easily keep things rustic and cut the vegetables a bit bigger. Regardless, you’ll want all the veggies cut into equal sizes so that they cook evenly. Quality stock is important and homemade is always best – here and everywhere else. If you want a really rich sauce use beef stock. I like chicken stock because this is already a very robust dish. Have fun. I can’t stress that enough. 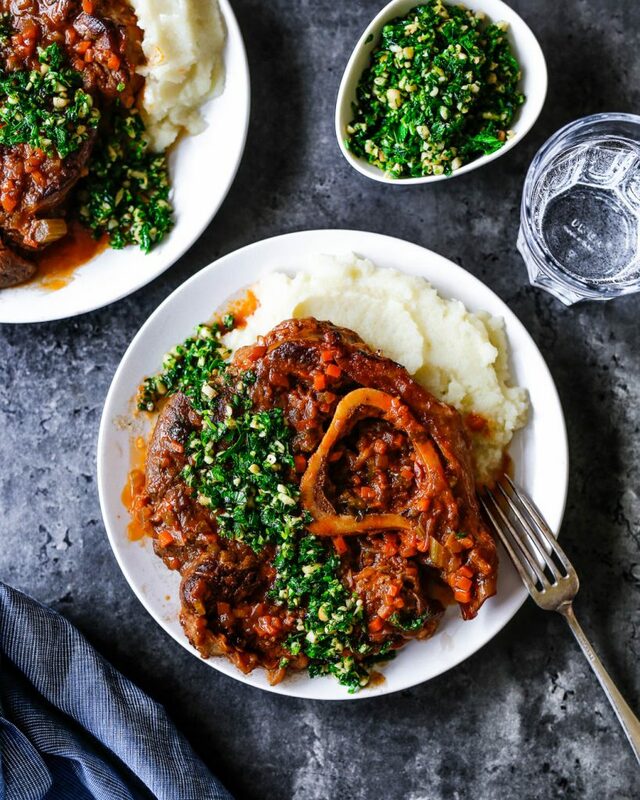 Osso Bucco is best made on a Sunday when you can slow down and spend a bit more time in the kitchen. I always turn on some tunes, brew some coffee and really focus on the fact that I am cooking for people I love. It makes it much more special. 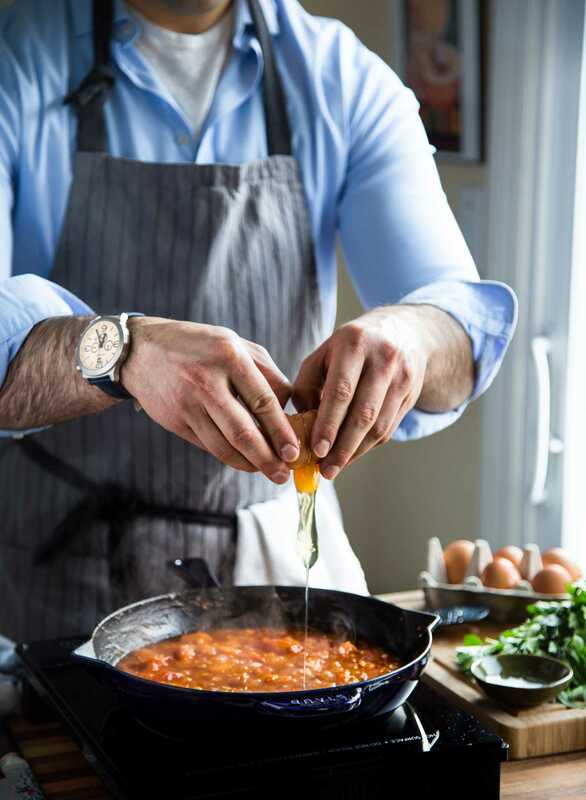 I also have a rule that before I start to play around with my own spin on classic dishes like Osso Bucco, I take the time to learn the traditional method first. It’s my way of paying respect to the dish and its origins – wherever they may lie. Osso Bucco’s roots lie in northern Italy and, more specifically, Milan. Unfortunately, I didn’t have any Osso Bucco when I was in Milan back around 2008. I was there in August when the city shuts down for the summer holidays. My wife and I decided to get out of town and went to Lago di Como instead. Thankfully, I had the pleasure of working at one of Toronto’s best Italian restaurants where the patron’s mother would regularly make her classic Osso Bucco as part of the menu special. My recipe is basically me trying to recreate hers, which she kept very secret. She kept all of her recipes secret. One time I asked her what mixture of meat she put in the meatballs, her answer was catso. I’ll let you Google Translate that. This is a family-friendly blog. The recipe you find here is a very classic Osso Bucco. No frills, easy, simple yet so full of rich flavours. 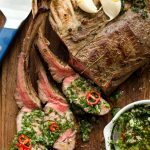 The recipe for the Gremolata, that herby topping you see overtop of the beautiful red beef shanks, is also very classic. Truth be told, this is one recipe I don’t like to get creative with. It’s very good as-is and the ‘if it ain’t broke don’t fix it’ philosophy applies here. The furthest I’ll go is using beef shanks instead of the more common veal. The bed of Cauliflower ‘Polenta’, on the other hand, will likely cause some Milanese folks to pop a blood vessel. This is NOT traditional but does work as a bed for all of the delicious sauce. 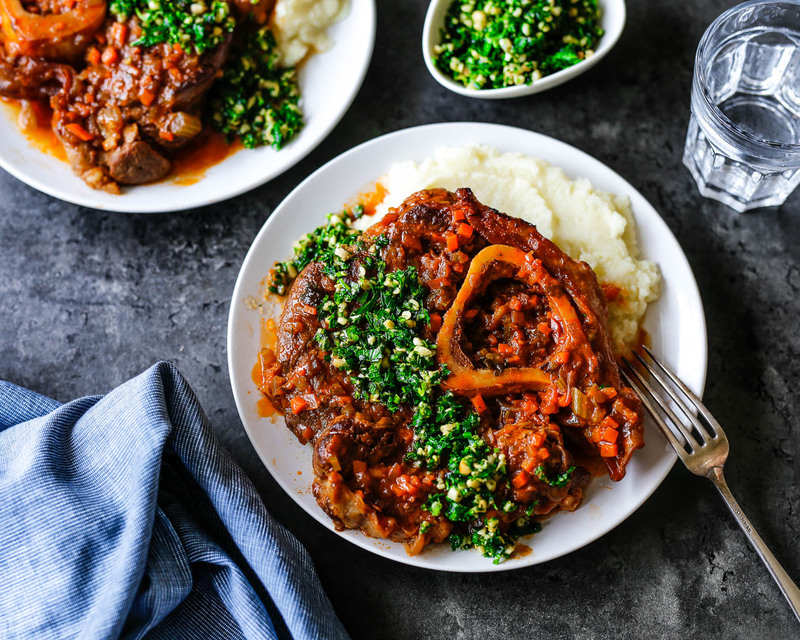 The cauliflower adds a nice flavour that I think works well with the richness of the osso bucco and also helps keep things on the lighter side. 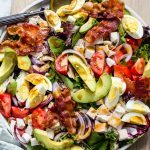 Again, great news if you’re following a Paleo or Whole30 program. 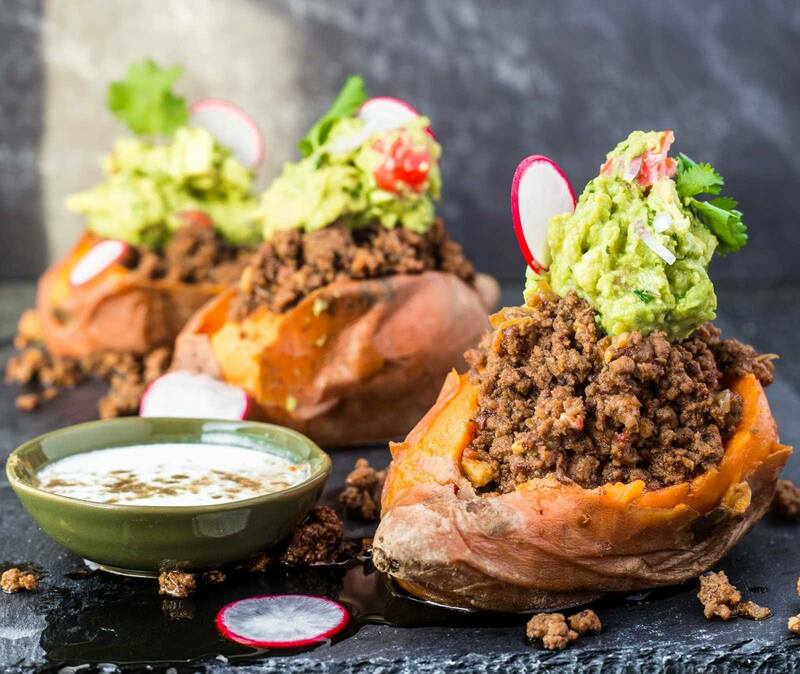 Give this recipe a go and let me know what you think in the comments below! Finely chop the parsley and pine nuts. Add to a mixing bowl with lemon zest and olive oil. Toss everything to combine. Set aside. *Note* If using raw pine nuts, toast them in a dry skillet over medium heat for 6-8 minutes or until lightly browned. Cut cauliflower into florets – remove lower stalk and outer leaves. Steam or boil until fork tender. Using an immersion blender or food processor, blitz the cauliflower until smooth and creamy. Add ghee and a pinch or two of salt and blitz again to distribute seasoning. Taste and adjust seasoning according to your preference. Thoroughly dry beef shanks with a kitchen towel and season both sides with salt. In a large heavy-bottomed pot or Dutch Oven, heat 1 tbsp avocado oil over high heat. Working in batches, brown all sides of the shanks (approximately 12-15 minutes total), remove and set aside in a bowl. Lower heat to medium, add onion, carrot, and celery. If needed, add 1-2 tbsp extra virgin olive oil. Sauté veggies for 10-12 minutes or until softened. Add garlic and sauté an additional 2-3 minutes. Add tomato paste and cook 2-3 minutes while stirring regularly. Deglaze pot with 1 cup of chicken stock. Using a wooden spoon, scrape any brown bits on the bottom of the pot. Add the rest of the stock along with the thyme. Bring to a boil, cover with a lid and transfer to a 350F preheated oven. 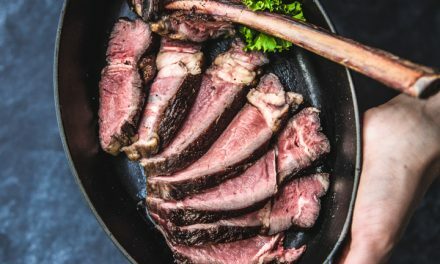 Cook for 2 – 2.5 hours or until the meat is very tender and falling off the bone. Remove from oven and let cool 10 minutes before serving with Cauliflower ‘Polenta’ and garnishing with Gremolata.